Because Spring is in the air, let's have a little Spring Tea Party. Let's start out with a beautiful bouquet of flowers. May I serve you some French Onion soup? I will get the water hot. Thank you so much for joining me today for my Spring Tea Party. Today my daughter and I visited a couple of Antique Malls. and picking up a few little goodies. We did very well in finding great prices. Each item was less then $5. These Johnson Brothers dishes were $5 for 5 pieces. 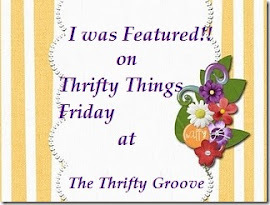 Joining The Thrifty Groove for Thrifty Things Friday. I would like to express my thanks to each one of you that sent words of comfort and encouragement during this time of loss to our family. We appreciated your thoughts, prayers and gentle words. It's been a difficult couple of weeks, but you have ministered to us as we have walked through these sad days. This week I have said good bye to two women who have had a huge impact and influence on my life. On Tuesday evening, my dear Mother in Love took the hand of Jesus and left her earthly body to walk the streets of gold. She was one of the most giving and gracious ladies I have ever known. It has been a sorrowful tear filled few days, but we are in fact rejoicing in knowing that she is not in pain anymore and praising God that her faith has been made sight and that she is with her Savior. Then on Thursday morning, my husband's aunt joined her sister in law as she too left us to reside with Jesus. And although we were not blood relatives, she stepped into my life at a time when I was grieving the sudden loss of my own mother. She has been a substitute mother, a grandmother to my children, a friend, a mentor, a beautiful example of how to love people wholly and unconditionally. Few of us have the privilege of knowing one person in our lives who sets a course of integrity and honor and who fills you up with their unwavering love. I have been blessed to know and love two such women. I don't usually do book reviews, but a couple of months ago, I came upon this book in my daughters room. The title was intriguing, so I picked up the book and started reading it. Started reading it is putting it a little mild. I was riveted. I don't think it is milk glass, but I've seen this kind before. It is shaped like it might belong to a mixing set. Nice size too. And only ONE dollar! The last time I was in the Goodwill I found these lovely candlesticks. 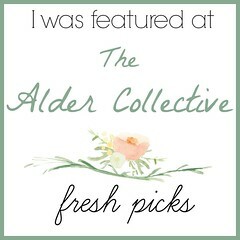 Isn't it fun to find treasures on a thrifting day?? My son brought me the sweetest arrangement of white roses for my birthday last week. So I just had to sit and enjoy them with a warm cuppa, and a small slice of sweetness. Everyday should be this lovely. Breakfast always seems to be a rushed time. But once in a while, it's nice to gather around the table and enjoy each others company. All of the dishes, glassware and service on the table except the salt and pepper (wedding gift) and the tea pot were found at thrift stores. This gorgeous fruit bouquet was a Birthday gift from my sweet son. Grab and plate and pull up a chair. We'd love the company. Our strawberry season is over, but the fields are still laid out so pretty. Easter is a time of celebration. 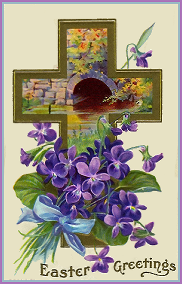 Christians all over the world celebrate the resurrection of our living Lord and Savior. I wanted to host a table that was giving honor to this special day. I found the scripture china at Ross last year. My sweet son gifted me with this beautiful clear glass tea pot and warmer for Christmas. He purchased the pot, warmer and some very delightful loose tea from Teavana. Rejoice in the Lord, again I say REJOICE!